If you’ve been too busy on the combine to keep up with the latest developments or, like many, have simply become numb to the rhetoric and brinksmanship after nearly two years of threats and bluster, there’s been a big and not-so-good development on the trade front this week. It turns out those side negotiations between Mexico and the U.S. were really full-blown negotiations and the two announced a new trade deal early last week. In essence, the Mexican government did exactly what it pleaded with our government not to do earlier, when Canada was offered the chance to strike its own independent deal with the U.S. In everyday parlance Canada has been thrown under the NAFTA bus as the U.S. pursued a divide-and-conquer approach. It was clearly in the interest of Mexico not to get shut out, and equally in its interests to go along when Canada did get left out in the cold. 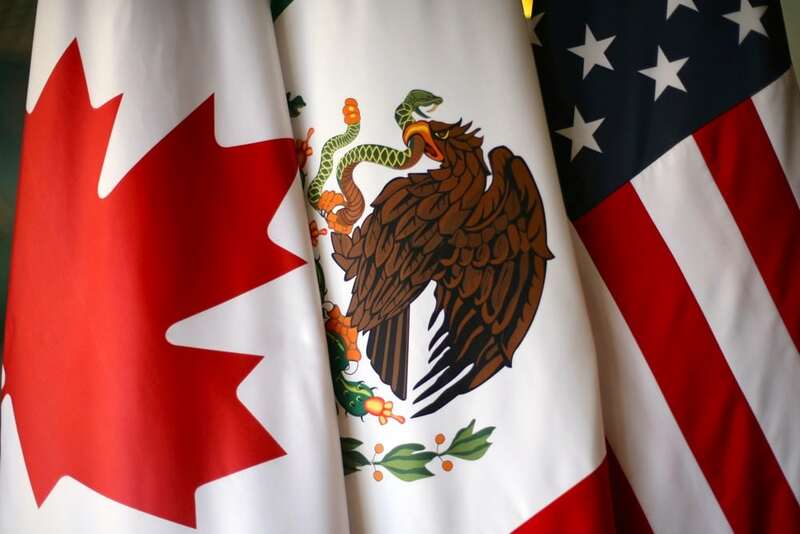 By going ahead with under-the-radar full negotiations, Mexico avoided negotiation while under the gun, but put its former ally Canada at great disadvantage. It might have also been in Canada’s interest to follow a similar strategy, however, the federal government opted instead to tripartite good-faith negotiations. That no doubt cemented our reputation as the boy scout of international affairs, but now sets the stage for some difficult decisions. There’s general agreement that Canada must be part of any trade deal. NAFTA has become the very cornerstone of the national economy and more than US$1 trillion in annual trade depends on it. The U.S. remains our single most important international market for a plethora of goods and services. But now the nation finds itself on the back foot, furiously blocking punches. U.S. President Trump is pushing for a timeline measured in days and insisting on concessions from Canada under the threat of devastating tariffs on the Ontario auto industry. Internal rhetoric about “no deal is better than a bad deal” is just our own posturing. The end of NAFTA would, at a bare minimum, usher in a protracted period of adjustment and likely a deep and painful recession. In agriculture, the dairy sector is the one under the most immediate danger, as it’s long been the focus of Trump’s ire, misplaced or not. It does not matter that his view of supply management, and the accompanying tariff wall, as injurious to U.S. dairy producers, is disputed by some of the same U.S. dairy farmers he says he is defending. A quick scan of the media landscape suggests most pundits view concessions on dairy as a foregone conclusion although it is not yet clear what compromises will be made. It’s unlikely the system as a whole is going to disappear any time soon. More likely is that it will be something akin to the concessions made in the Canada-Europe Comprehensive Economic and Trade Agreement, where 18,000 tonnes of EU cheese imports are to be phased in over five years. That’s surely going to be troubling to dairy producers. It represents yet another breach in the protections they’ve enjoyed since the 1960s. Other supply-managed commodities will also surely be nervously watching these developments and wondering if they’re next on the chopping block. Other more export-dependent sectors will no doubt be pulling for a deal, for fear of losing a key customer. As a report in this publication earlier this summer outlined, Manitoba’s hog sector is inextricably bound into the continental hog market. Likewise, the U.S. has long been a key grains buyer, despite itself being a production powerhouse. This also all comes on the heels of an embarrassing faux pax at the recent Conservative Party of Canada annual convention where dairy industry delegates discarded a briefing book containing “incorrect” information about backroom assurances from party leader Andrew Scheer. Clearly supply management is in for a period of prolonged adjustment. Even a modest concession to allow greater access to the Canadian market will have repercussions that ripple through the supply chain. And with just 16,300 farmers in the sector, they’ll have to work hard to demonstrate their value to millions of Canadians dependent on U.S. trade.